Our full menu is available from 11am daily. Fresh breadsticks topped with garlic and Parmesan, served with Italian sauce. These tasty mini burgers are topped with American cheese on a sweet bun. Frizzled onions served on the side. We serve the whole wing with your choice of sauce! Bleu cheese & celery available to cool you down. 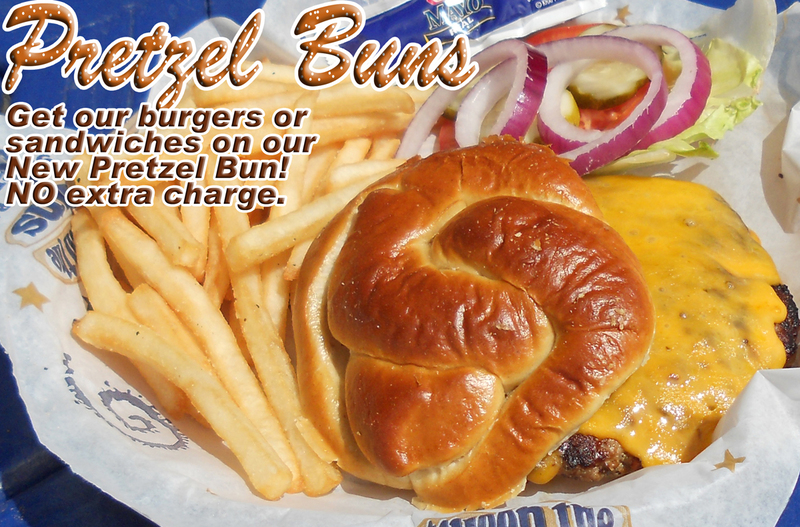 All burgers come with your choice of side and choice of bun: whole wheat, white, onion, or pretzel. Sliced onion, lettuce, tomato and mayo available upon request. Gluten free bun available for $1 more. Cooked medium well. Make it a sandwich upon request.